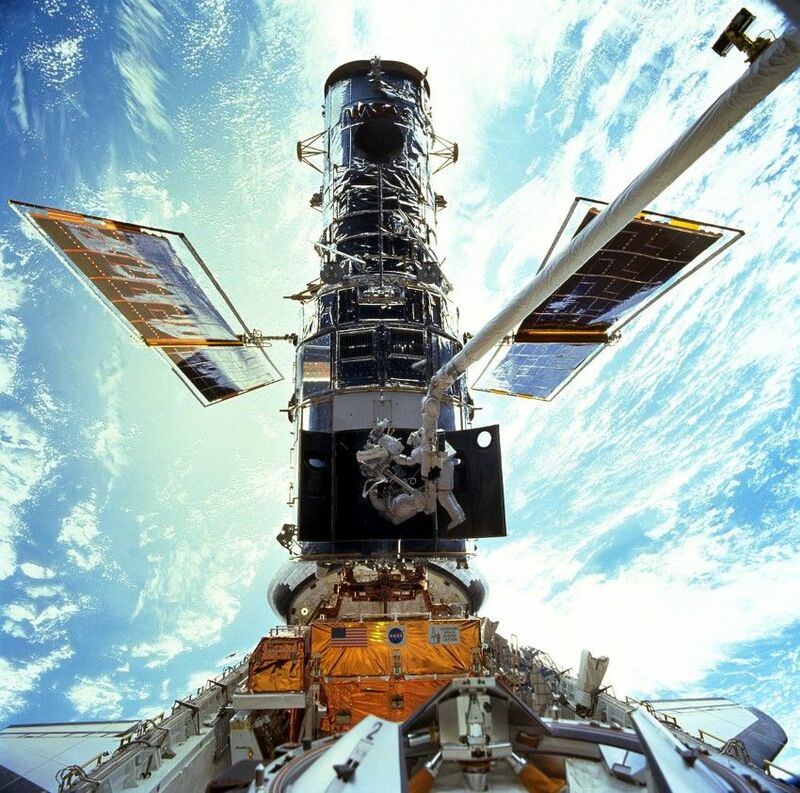 Home » 25 Amazing Photos Of The Hubble Space Telescope To Celebrate 25 Amazing Years! 25 Amazing Photos Of The Hubble Space Telescope To Celebrate 25 Amazing Years! When Edwin Hubble looked past the Milky Way Galaxy, little did he know that his namesake would eventually make some of the most amazing astronomical discoveries known to man. The Hubble space telescope shot into orbit 25 years ago on April 24, 1990. And over the past quarter century it has truly shown us how little we humans are on our pale blue dot suspended in a sunbeam. The Hubble telescope took photos of Mars, Jupiter, and other planets — but when it aimed its mighty lens beyond our solar system, that’s when we were truly humbled. Standing upon the shoulders of giants, Hubble has made way for newer and more advanced telescopes to eventually become its successor. Floating well above the distorting effects of our atmosphere, Hubble has been able to detect faint objects that simply cannot be seen by Earthbound telescopes. Hubble has provided the most amazing images of our distant universe, literally looking back in time, taking us “where no man has gone before.” While the aging telescope might eventually fail due to financial constraints, it has certainly led to the next generation of telescopes in our next greatest search: planets with life. Please join us in wishing the Hubble Space Telescope a very happy 25th birthday! And please SHARE these amazing photos with your friends and family! 1. The Hubble telescope was years in the making. Initially scheduled to have a launch date of 1985, the project was fraught with delays and soon went wildly over budget. 2. Finally, after years of delays, on April 24, 1990 the Hubble Telescope was taken into space aboard the Shuttle Discovery. 3. Unfortunately, there was a minor flaw in the reflective mirror. All of the images were coming out blurry because it was ground too flat by a depth of 4 microns (roughly equal to 1/50 the thickness of a human hair). 4. To offset the mirror’s error, Scientists designed mirrors to place in front of the original, larger mirror. Essentially, they created glasses! 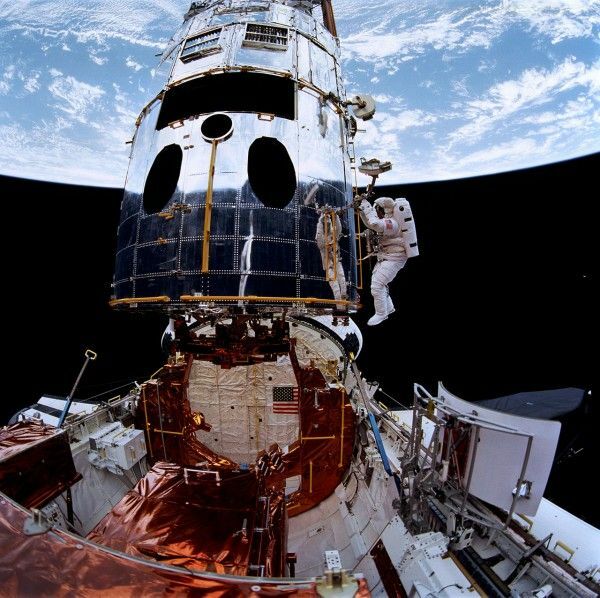 Space Shuttle Endeavour then began an 11-day mission to restore Hubble’s blurred vision. 5. Obviously, the optometry mission proved a success. The image on the left was before Hubble got its new contacts. The image on the right was taken right after! 6. This Nebula was named “Mystic Mountain.” About 7,500 lightyears away from Earth, this beautiful image is the birthplace to baby stars! 7. The Crab Nebula is the remnant of a supernova located in the Taurus constellation. While you won’t be able to see it in such detail as this, on a clear night with strong binoculars, you’ll be able to see this crab in the sky! 8. The Pinwheel Galaxy is a beautiful spiral class galaxy similar to our own Milky Way. 9. The aptly named Butterfly Nebula stretches for over 2 lightyears from wingtip to wingtip. That’s a big bug! 10. But Hubble also takes photos of objects that are a bit more in the neighborhood. Jupiter is the largest planet in our solar system! It has over 67 moons and has shielded our planet from comets for billions of years. 11. 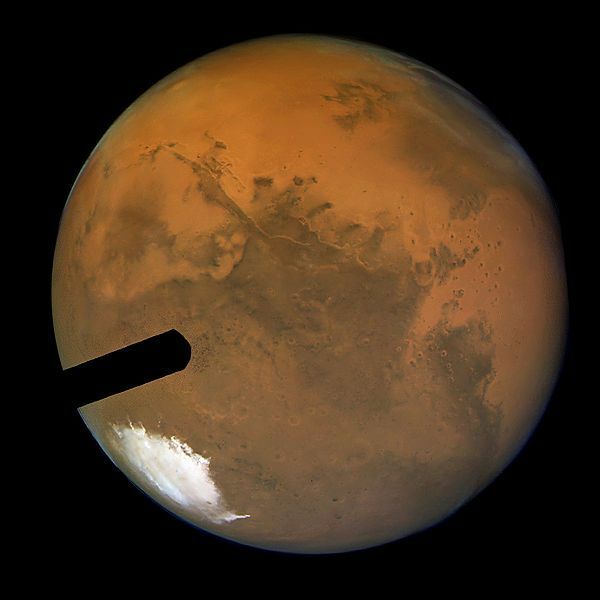 The red planet has intrigued astronomers for centuries. And thanks to Hubble, we can look at this powerful god of war from a safe distance. 12. The seventh rock from the sun is actually a beautiful ball of blue gas. The methane in this planet’s upper atmosphere absorbs all the red light from the sun, but reflects blue light back to us. 13. And everyone’s favorite planet! Saturn! 14. A bit more outside of the neighborhood, this gorgeous view of the globular cluster Messier 70 is over 29,000 lightyears away from Earth. 15. The Andromeda Galaxy, our nearest galactic neighbor, and our Milky Way are actually set to crash into each other! Don’t worry though, that won’t be happening for another 4.5 billion years. 16. Camelopardalis is a star in the final moments of its life. As it begins to run low on fuel, it coughs out a shell of gas as it begins to collapse in on itself. 17. 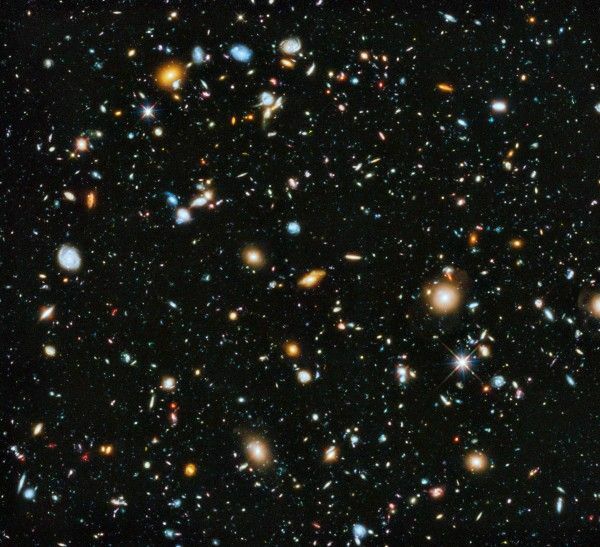 The Hubble Ultra-Deep Field contains galaxies that are over 13 billion years old. A mere 400–800 million years after the Big Bang, this image has shown us what the early universe once looked like. An image equal to roughly one thirteen-millionth of the total area of the sky turned out to contain trillions of stars. 18. The famous Pillars of Creation had their photo taken in 1995. One of the most memorable photos from Hubble, these huge pillars are in the middle of creating new baby stars! 19. NGC 5866, better known as the Spindle Galaxy, shows us that lenticular galaxies retain a considerable amount of dust within their disk. 20. The Cosmic Caterpillar is a lightyear-long cluster of interstellar gas. Harsh winds from local stars are pushing and pulling the giant bug into a thinner and longer shape! 21. There’s just something about looking at these pictures that makes you feel so small. 22. The second-largest galaxy known is over 500 lightyears across. 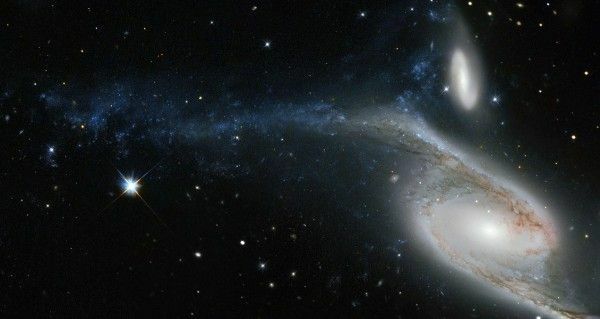 The galaxy itself is being pulled apart by other smaller, local galaxies. 23. They call this The Eskimo Nebula. But we think it looks more like a heart! First seen in 1787, the picture that Hubble offers is beautiful. 24. The first photo taken from Hubble shows that a lot has changed in the 25 years. There have been technical mishaps as well as glorious discoveries. 25. But thanks to human ingenuity, and curiosity, we’ve been able to look billions of miles into space, across vast distances, and deep into the past, at Jupiter and beyond the infinite! Please SHARE these amazing photos with all your Earth-dwelling friends and family!